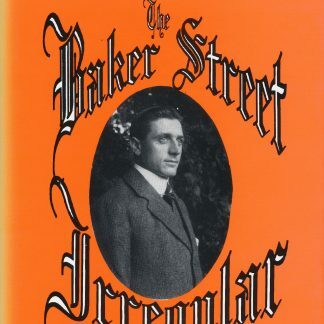 From circumstantial evidence provided by John Watson, as edited by Conan Doyle, this is the true account of Sherlock Holmes’s career from boyhood to enforced retirement. It reveals the truth about Holmes’s involvement in the death of Professor James Moriarty; the rôle he played in the Jack the Ripper murders; how a card game led to the death of an innocent man; why, after consultations in 1897, the detective’s career ended abruptly in 1903. Amongst charges pinned on the real Holmes are murder, blackmail, forgery, drug abuse, fraud, suppression of evidence, incompetence, conspiracy to pervert the course of justice, and accessory to murder! With authentic photographs of the Holmes brothers, Watson, Mrs Hudson, Lestrade, and others, including known villains, in the Sherlock Holmes history.